Craving some time out? 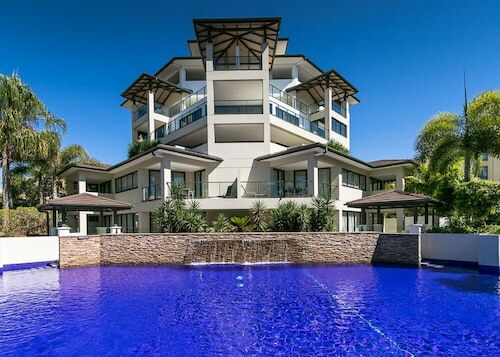 Then you need our Fraser Coast accommodation! A three hour cruise up the highway from Brisbane will bring you to the edges of Tropical North Queensland, where the humidity paints your skin and the sun shines all year long. The Fraser Coast offers a stunning coastline of white sandy beaches and from July to November you’ll find humpback whales hanging out in the calm, warm waters of Hervey Bay. From the sandy delights of Hervey Bay and Fraser Island, to the coral colours of Lady Elliot and Musgrave Island, you’ll enjoy every minute here! Use Rainbow Beach as your first stop-off while on your way up the Coast. With just enough quiet to calm the nerves and plenty of space to stretch your legs, Rainbow Beach will both charm and relax you. Own a 4WD? Then you’ve definitely heard of Fraser Island! This World Heritage listed oasis provides a veritable playground for those on four wheels. Discover wot makes this island so unique it’s on the World Heritage List. Walk through 1,000-year-old rainforests, swim in pristine freshwater lakes, or spy a dingo as you’re 4WDing along 75 Mile Beach. When you get sick of surfing the sand, jump into transparent water that glitters over coral gardens- this is one of the best locations for scuba diving and snorkelling in Australia. Not sure when to come? Book your Fraser Coast hotels between July and November to experience Whale Watching Season. This is when some amazing creatures make their way to tropical Queensland from Antarctica to breed and make the most of the temperate waters. Watch as gentle Humpback’s frolic and play around the boats, an experience that will cement itself in your mind for years to come. Flock to the Fraser Coast to find solace in the sand, siesta in the sunshine and stroll along the shore, your holiday on the Fraser Coast will have you swearing you’ll be back next weekend! 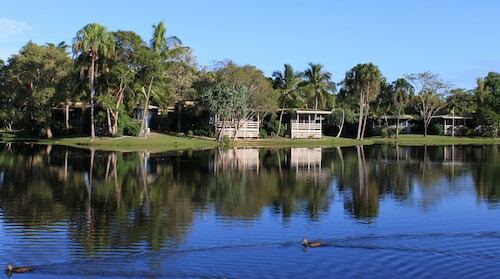 Start with our list of Fraser Coast accommodation, grab your bathers and jump into the car- you’ll be having a whale of a time (literally) before you know it. 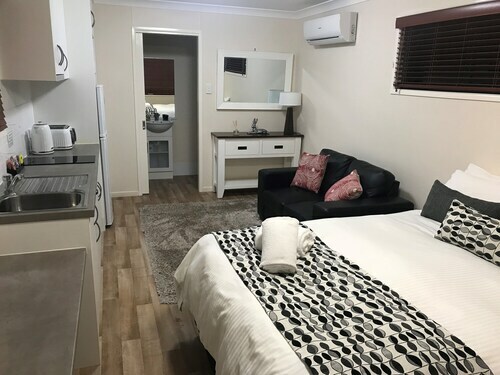 How Much is a Hotel Room in Fraser Coast? 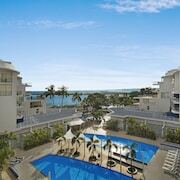 Hotels in Fraser Coast start at AU$72 per night. Prices and availability subject to change. Additional terms may apply.